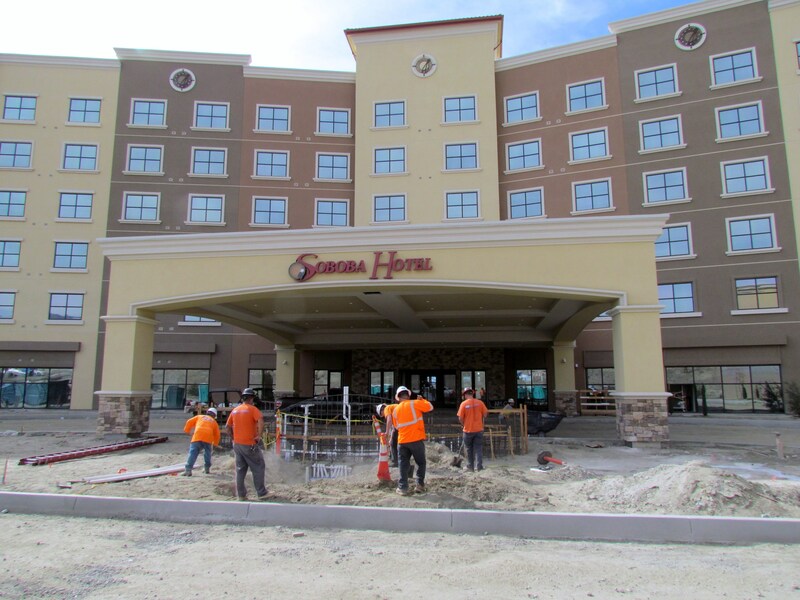 The Soboba Casino Resort is continuing to progress as level six of the hotel adds headboards and bed frames to its rooms and the back-of-house operations is accepting regular deliveries of furniture, fixtures and equipment. 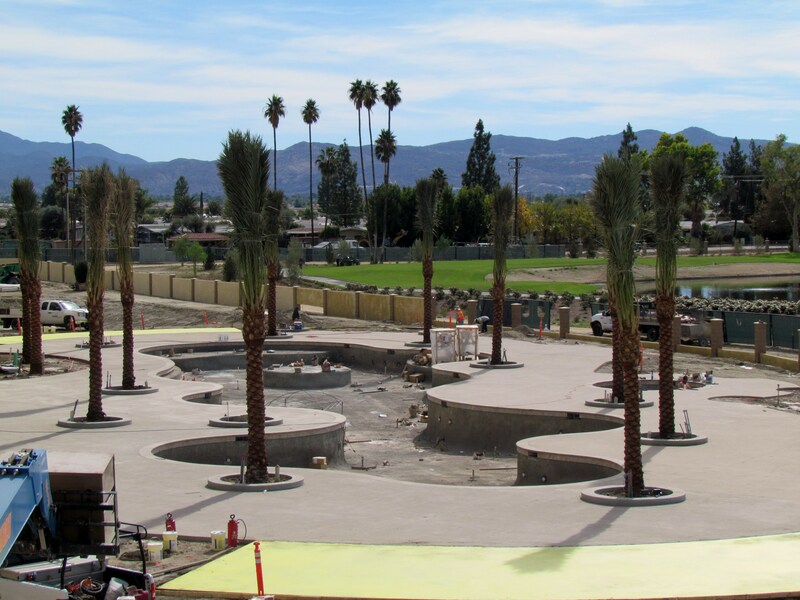 Irrigation is done and landscaping has begun in the parking lot area and around the pool. Asphalt has been completed on some of the land and grading is being done to finish the last two sections. Finishing work is ongoing with millwork and flooring still being worked on. Concrete and tiling around the pool is being done and an "owners' punch walk" takes place this week. That will lead to a final inspection and any corrections for finishes that need to be resolved. 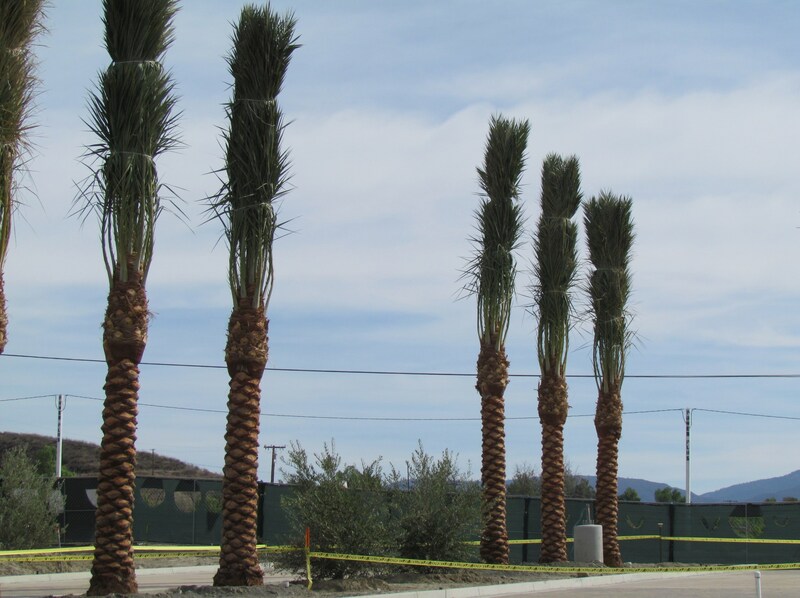 Lifestyles Landscaping have installed quite a few palm trees and, along with other trees and plants now that the sprinklers have been installed and are working great. Inside the replacement casino, the look of natural wood and bark treatments throughout lends itself to a rustic feel. "That was the Tribe's plan. They did not want to try to recreate Las Vegas but rather produce a product that fit the local environment," said Leo Lauer, Project Director for Sicon LLC, the owner's representative. "They are using elements such as stone, wood and lots of soft colors." 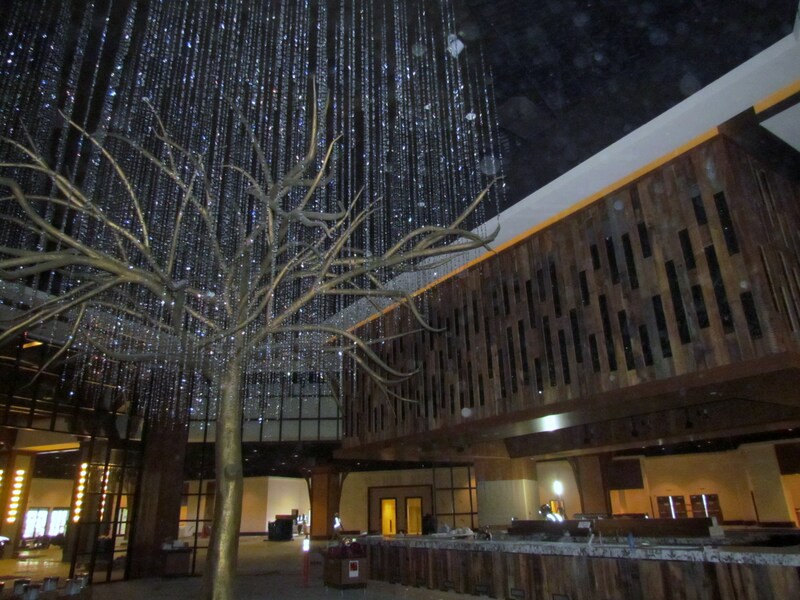 A beautiful design option they chose was an accent piece inside the feature bar area that is a tree with streams of lighted crystals "dripping" from its branches. It will be used to set the mood for the area during different times of the year and during various events. The Fairway Café has an outdoor seating area that overlooks the newly renovated Soboba Springs Golf Course with its picturesque water, trees and lots of green. At the front of the structure, water features are being constructed at each porte-cochère, the covered porch-like structures at each of the main entrances for the hotel and casino. Originally designed for horse and carriages, today it is designed for motor vehicles to pass under while arriving and departing.